The firm had to ruffle some feathers for this client. This client owes over a million dollars to the United States Treasury, he owes almost $100,000 to the State of Indiana. We contacted an executive at the Indiana Department of Revenue, the firm wanted a wage garnishment. Initially, the Indiana Department of Revenue would not comply. They would not take their money from the client, even though he wanted to give it to them. The firm will not tolerate any action that violates a tax payer’s rights. A taxing authority’s inaction could have hurt this client. The firm had to fight for this client’s rights. We have now entered another phase of this client’s case. We are now preparing an Offer in Compromise for this client. We will most likely settle this case for thousands of dollars, not anywhere near the million dollars that the client owes. The client had a restaurant that went out of business with unpaid payroll taxes. The taxpayer was assessed with over a $200,000 Trust Fund Recovery Penaltyability. He had put everything he owned into his business to try and make it work so he had very limited assets after its closure. He was working as a unit manager for a restaurant chain after his business closed. Although a merger salary it was enough to provide the minimal necessities for him and his family. He had been receiving the threating letters from the IRS demanding payment and threating garnishing his wages or levy his bank account. He didn’t dispute owing the tax but simply didn’t have the ability to pay it in full. He wanted to know what his options were in regards to being proactive in settle his account with the service. I informed our client that he looked like a good offer-in-compromise candidate. I explained the OIC progam as looking at your net worth today and then you ability to repay on a monthly basis. For this particular client he had no current net worth, he just came out of bankruptcy due to the failed business venture. The client is married and has two children and was living a very modest lifestyle since taking his new job. After crunching the numbers, the taxpayer showed the ability to pay $250 per month. We filed an offer in comprise for $6,000 to settle in full the $200K plus liability which was accepted. The client was ecstatic to have negotiated a reasonable settle that he was capable of paying. An Offer in Compromise is a complicated endeavor, further complicated if you own a business. The documentation required by the IRS prohibits many tax payers from filing a process able OIC. Preparing and filing the Offer is step 1. As a part of the process of working an OIC the IRS will ask for additional documents and explanations. If you own a business, the IRS will inquire more and require additional documentation. Never take the process of an OIC for granted, each case is unique and each case will present unique challenges. The stakes are high. Your debt to the IRS is at stake. The collections statute is extended while the IRS works your offer. Your time and effort and the cost of professional fees are at stake as well. 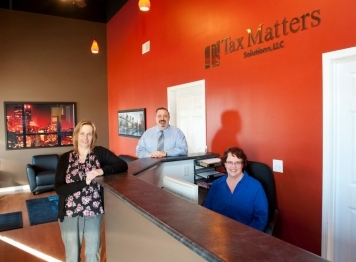 Tax Matters Solutions can provide the guidance and experience that will give your case and your OIC the best possible chance of success.